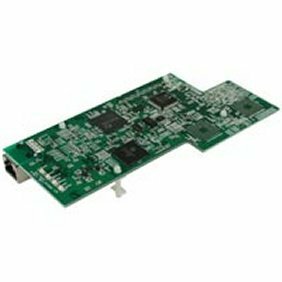 The NEC SV8100 Voice Compression Card (32-channels) PZ-32IPLB is a 32 channel VoIP Daughter Board and is installed on the CPU and provides the voice (RTP/RTCP) processing function. This card is used for converting the RTP (Real Time Transfer Protocol) packets via the IP network and PCM highway. Note: Maximum (1) VoIP Daughter Board (any size) per system. Also requires licenses for IP Trunks and IP Terminals.